In this file photo, Tesla CEO Elon Musk speaks during an event to launch the new Tesla Model X Crossover SUV on September 29, 2015 in Fremont, California. 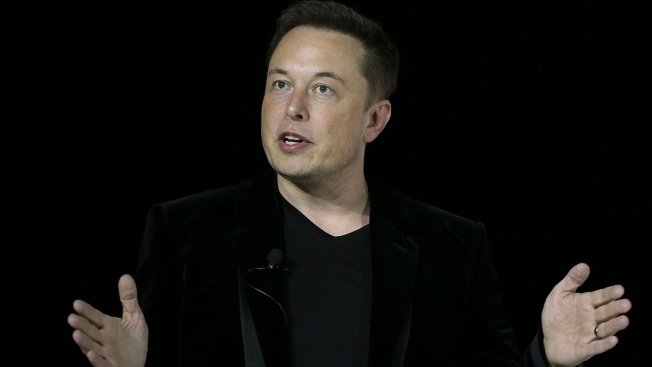 Elon Musk -- the man behind Tesla and SpaceX -- is making some headlines Wednesday after reviving an earlier Twitter discussion suggesting he plans to dig a tunnel so he can avoid traffic and get to and from his Hawthorne office faster. "Exciting progress on the tunnel front," Musk wrote on his Twitter page Tuesday. "Plan to start digging in a month or so." It was Musk's first reference to the tunnel since he first brought up the topic on Twitter in mid-December, when he wrote, "Traffic is driving me nuts. Am going to build a tunnel boring machine and just start digging." He continued, "It shall be called 'The Boring Company,'" adding in another post, "Boring, it's what we do." The posts seemed to be nothing more than joking rants by a frustrated motorist, but with a guy like Musk, you never know. Asked by a Twitter follower if he was serious, Musk responded, "I am actually going to do this." So when Musk revisited the topic Tuesday, suddenly speculation built that maybe he really is serious. Asked on Twitter where he plans to build his tunnel, he responded, "Starting across from my desk at SpaceX. Crenshaw and the 105 Freeway, which is 5 mins from LAX." Somebody even questioned Musk about the safety of a tunnel in earthquake country, but not surprisingly, he had a scientific answer. "Earthquakes tend to have the biggest effect on the surface, like waves on water," he wrote. "That's why LA can have a lame, but getting better subway." Responding to Musk's comments, officials from Metro -- which controls the city's light rail and subway system -- posted a note to Musk on the agency's Twitter account: "We have a slightly used tunnel boring machine we could sell you in a few months. Works like a charm. Hit us up."